Roberta Dougherty, Yale’s librarian for Middle East Studies, walks through the grand foyer of the university's Sterling Memorial Library, where the Near East Collection holds one of the most comprehensive assemblies of Arabic and Islamic studies materials in the us. When Edward E. Salisbury became Yale's Professor of Arabic and Sanskrit Languages in 1841, his was the first such position at a us university. 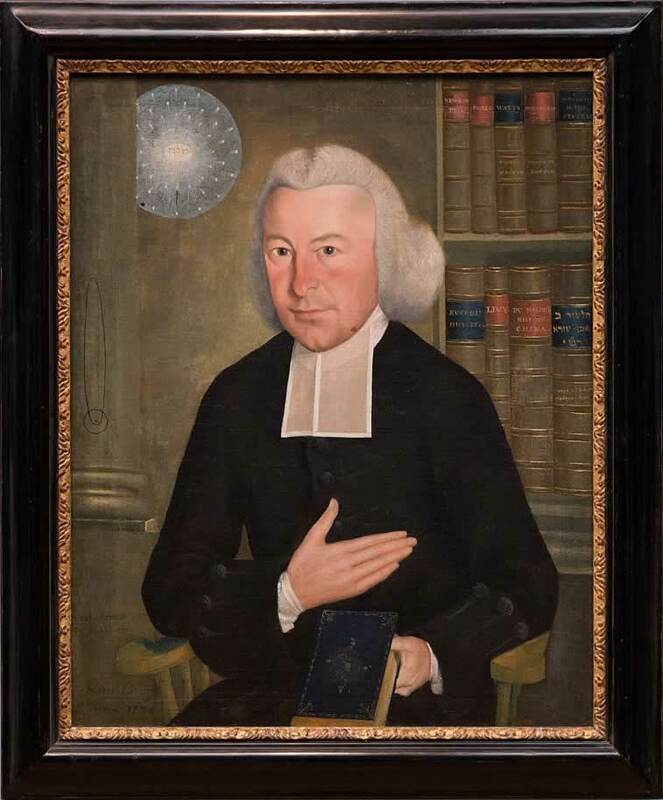 Ezra Stiles, Yale's president during the American Revolution in the late 1700s, had studied classical Hebrew as well as Aramaic and Arabic, but he was unable to convince students of the value of Semitic language study beyond a freshman requirement. 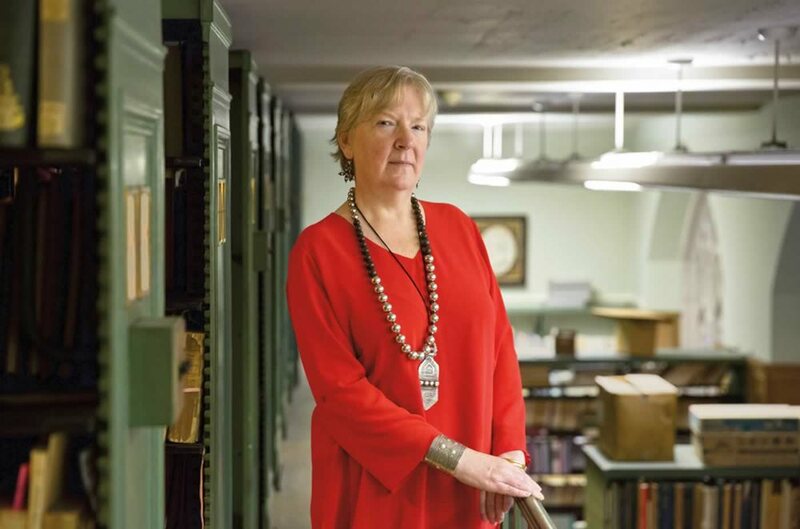 Roberta Dougherty not only oversees Yale's Arabic and Near Eastern languages collection, but also organized the 2016 celebration that marked the 175th anniversary of Yale's appointment of Edward E. Salisbury to the school's Arabic and Sanskrit Languages professorship. 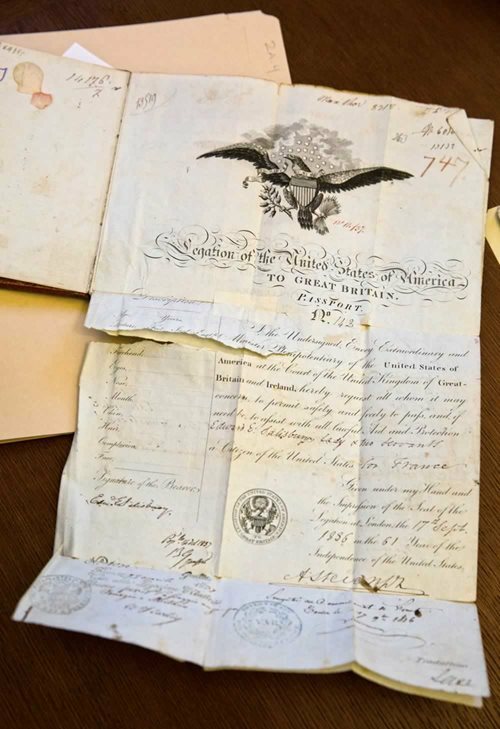 Edward E. Salisbury's well-worn passport symbolizes a turning point in the Yale graduate's life. 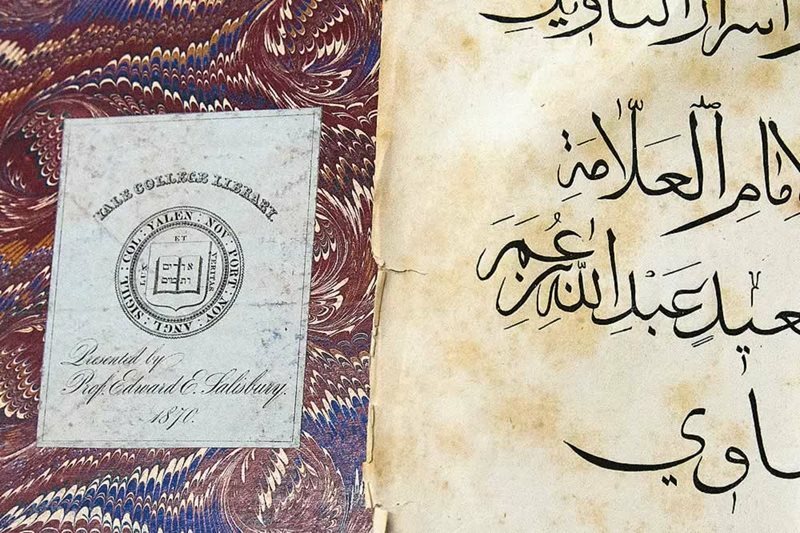 After spending three years in Europe in the 1830s studying Sanskrit in Berlin and Arabic in Paris, he returned to Yale to become a leader in Arabic-language studies. Like most educated men of his time, Edward Elbridge Salisbury was expected to lead a minister’s scholarly and mostly contemplative life. Born into a wealthy Boston family in 1814, he graduated from Yale in 1832 and passed his ministry exam in 1836. That same year Salisbury and his bride Abigail Salisbury Phillips embarked on a three-year tour of Europe that steered him away from the ministry and launched his reputation as an American pioneer in Arabic-language studies. Intellectually curious and amply funded, Salisbury met with prominent Sanskrit- and Arabic-language scholars in Europe. In Berlin, he studied Sanskrit, and in Paris, he began to learn Arabic from Europe’s leading Arabist, A. I. Silvestre De Sacy. 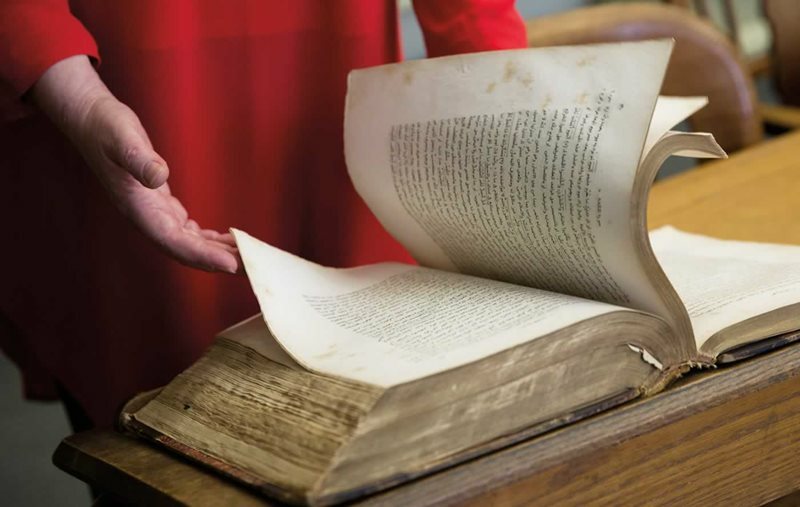 In 1839 the Salisburys returned to New Haven, Connecticut, with a large collection of Arabic and Sanskrit manuscripts and books, many acquired from the auction of De Sacy’s library after his sudden death in 1838. At that time, there were no research libraries in America with collections of orientalist books, periodicals or manuscripts. Salisbury’s acquisitions attracted scholars and inspired the establishment of his professorship of Arabic and Sanskrit at Yale in 1841. 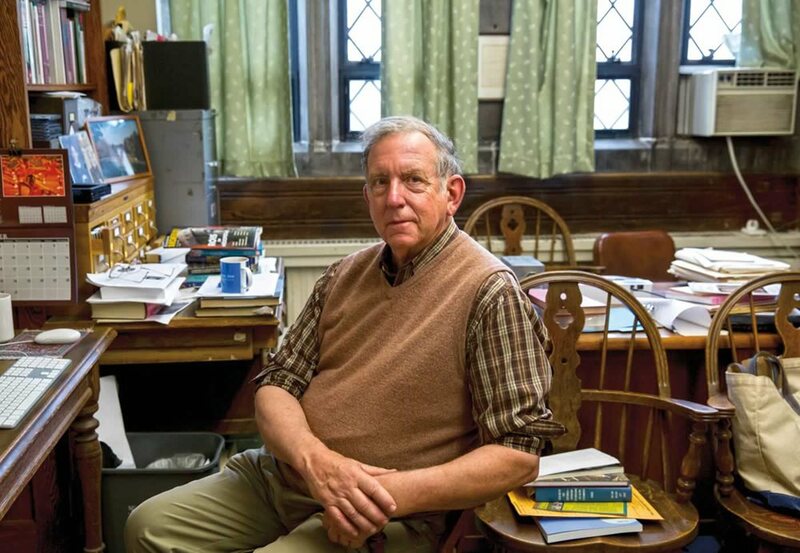 Despite his inability to attract more than two graduate students to his courses, Salisbury’s legacy is greater than he could have envisioned. His essays on Arabic and Islam were the first scholarly publications of their kind in the us. 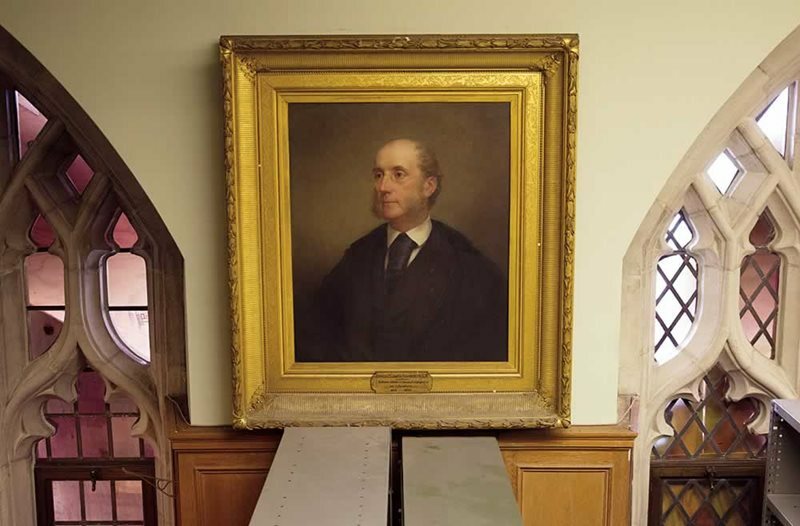 When he donated his library of rare books and manuscripts in Arabic, Sanskrit and Persian to Yale in 1870, it was recognized as the largest such collection in the country, and today it remains a valuable resource. The aftermath of World War ii precipitated a new and urgent shift as the emergence of the us as one of two superpowers called for new international skills. “It was abundantly evident that America was falling very short on any kind of expertise about what was actually going on post-Ottoman Empire,” says Allen. When the Soviet Union launched Sputnik, the world’s first artificial satellite, in 1957, the Soviet educational system’s emphasis on science, mathematics and foreign languages was seen as the leading factor in its edge in space technology. In response, the 1958 National Defense Education Act (ndea) supported the study of these subjects in schools, and it identified five languages for priority funding: Russian, Chinese, Hindustani, Portuguese and Arabic. Title vi of the ndea supported new fellowships, instructional materials, summer programs, teacher-training workshops, research and more—many of which continue, in various forms, today. Arabic is a skill in itself and “a great avenue for giving students a real experience in cross-cultural communication,” says Richard Cozzens, top, program director of the decade-old annual Arabic Summer Academy in Boston's Charlestown High School. 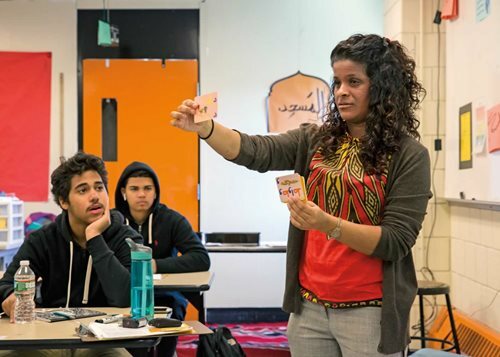 “The focus is on learning and connecting, and on building a community.” Sarah Rangwala, above, teaches Arabic at Charlestown High School as well as at the Arabic Summer Academy. For five weeks each summer since 2007, letters from the Arabic alphabet have decorated old metal lockers in Charlestown High School’s aging five-story brick building in Boston, Massachusetts. The sounds of students practicing Arabic words and phrases float into the hallways, while other classes learn about Arabic calligraphy or dance from visiting artists. 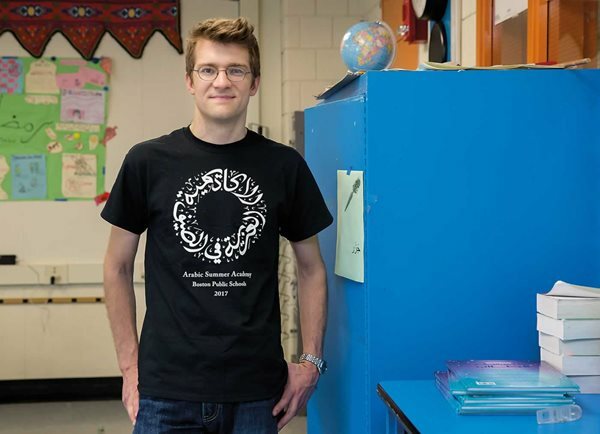 Founded in 2007 by Steven Berbeco and Lemma Jarudi, two former Arabic-language teachers at the school, the annual Arabic Summer Academy (asa) makes Charlestown High the only non-exam public school in Boston with an intensive Arabic summer-language program. It is also one of 84 primary and secondary schools in the us that teaches Arabic. Approximately 30 to 40 students are selected from public schools around Boston for the tuition-free program. After 142 instruction hours in language and culture, students graduate with the equivalent of a full year of Arabic instruction. Federal funding comes from the Startalk program, which was launched in 2006 to help increase the number of us citizens learning critical-need foreign languages. The Near East Collection at Yale's Sterling Memorial Library holds more than 250,000 Arabic and Persian volumes. Piney Kesting is a Boston-based freelance writer and consultant who specializes in the Middle East. Krisanne Johnson is a Brooklyn-based photographer whose work has been exhibited internationally and appeared in magazines and newspapers such as the New York Times, TIME, and Fader. Johnson holds a Master’s degree in Visual Communications from Ohio University. Since 2006, she has been working on personal projects about young women and HIV/AIDS in Swaziland and post-apartheid youth culture in South Africa.